In a landmark moment, the BBC are delivering up to one million micro:bit devices free to UK students to encourage more young people get creative with technology. Every Year 7 student in England and Wales, Year 8 student in Northern Ireland, and S1 student in Scotland will receive a micro:bit. The device, launched as part of the BBC ‘Make it Digital‘ initiative, is a pocket-sized, codeable computer that allows young people to get creative with technology, whatever their level of experience, and aims to help develop a new generation of digital pioneers. Students can program their BBC micro:bit to become anything they want – from simple games to smart watches and even fitness trackers. This is done by using one of the code editors at www.microbit.co.uk, or the mobile app, and by connecting it to other devices and sensors. The website also features a range of resources and tutorials to help teachers, parents and students take advantage of the BBC micro:bit’s vast potential. It’s the BBC’s most ambitious education project in 30 years and builds on the pioneering role of the BBC Micro, which helped introduce the nation to computing in the 1980s. It has been made possible only through a ground-breaking partnership between the BBC and 31 organisations, including ARM, Barclays, element14, Lancaster University, and Microsoft. 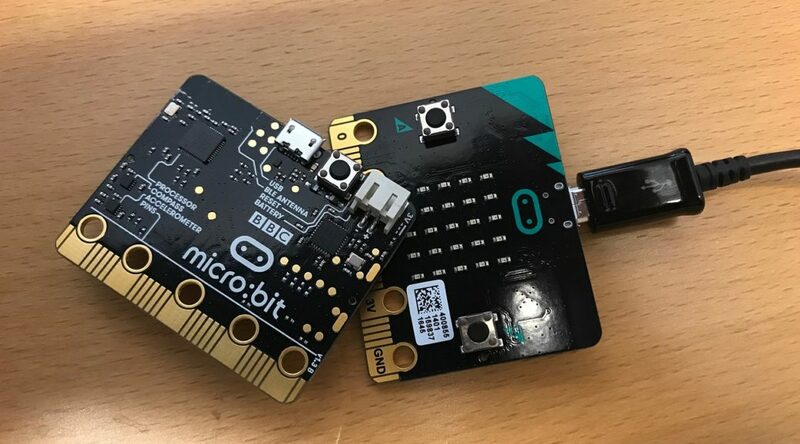 BBC micro:bits will be delivered nationwide through schools and made available to home-schooled students over the next few weeks, but they will be the students’ devices to own. This allows students to keep their device as they move up through the school, and to continue bringing their ideas to life outside of school and term time. 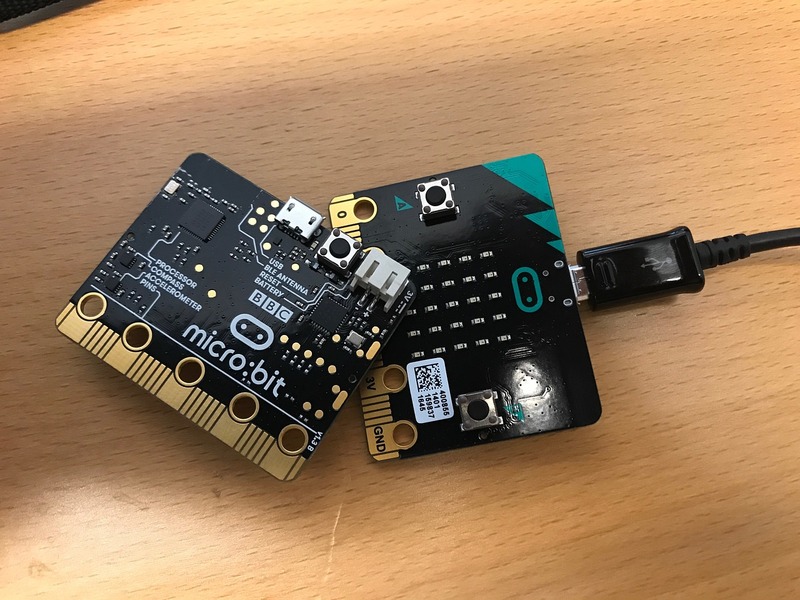 Some additional BBC micro:bits have been included in the rollout to enable teachers to extend their BBC micro:bit lessons to students in other year groups, giving the BBC micro:bit partnership an even better chance of inspiring an entire generation. Following the nationwide rollout, the BBC micro:bit hardware and much of the software will be open-sourced, and BBC micro:bits will be available to buy from a range of retailers. Money generated from these commercial sales will be used to further encourage as many people as possible to join the coding revolution. Further details will be announced soon. Tony Hall, BBC Director-General, said: “This is a very special moment for us, our partners and most importantly for young people across the country. The BBC micro:bit has the potential to be a seminal piece of British innovation, helping this generation to be the coders, programmers and digital pioneers of the future. Jessica Cecil, Controller, Make It Digital said: “BBC micro:bit represents a major milestone in our bid to inspire a new generation of digital innovators. As part of our Make it Digital initiative we want everyone to discover more about the digital world. We’re offering easy-to-use devices like the BBC micro:bit, up to 5000 Make it Digital traineeships across the UK, and shows on the BBC such as Girls Can Code and Calculating Ada, to achieve just that. ARM: The BBC micro:bit was created using the ARM® mbed™ hardware and software development kits and compiler services. The project builds on the organisations’ collaboration on the original 1981 BBC Micro computer. BBC: The BBC micro:bit project has been conceived and convened by the BBC, bringing together partners to deliver a digital literacy project on an unprecedented scale. element14: element14 manufacturers the BBC micro:bit and has worked closely with all partners in areas such as component selection, cost optimisation and design for manufacture. In addition, element14 has leveraged its manufacturing, logistics and packaging capabilities to safely deliver the first 1 million units into the UK. Lancaster University: Designed and developed the BBC micro:bit runtime; the essential core code that makes the BBC micro:bit do all the amazing things it does. The University will continue to support the micro:bit community as it grows. Microsoft: Developed the BBC micro:bit website (www.microbit.co.uk) to host code editors for all one million micro:bits and has also supplied two coding languages. Nordic Semiconductor: Supplied the ultra low power Bluetooth® chip that integrates the micro:bit’s computer brain, and allows the micro:bit to both wirelessly communicate with other micro:bits, and sync to or be updated from smartphones, tablets, and computers via Bluetooth. NXP Semiconductor: Provided the micro-controller that manages the BBC micro:bit’s USB connection, the accelerometer and magnetometer that enable the micro:bit to react to motion and the direction it’s facing. Samsung: Developed the Android app for the BBC micro:bit. Technology Will Save Us: A London-based start-up that designs ‘Do It Yourself’ tech kits that spark the creative imagination of young people. Tech Will Save Us led the BBC micro:bit design, producing the distinctive look & feel that encourages kids to get hands-on with technology. Wellcome Trust: Through direct initiatives to schools, Wellcome Trust will provide exciting real life contexts for teachers and learners around the UK to use the micro:bit. For more on the BBC micro:bit, the project partners and product champions, visit the ‘Make it Digital’ website.